That's nice purchase Rich. I envy you. Not just on buying figures but on visiting that shop too. 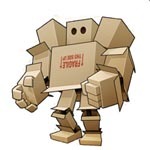 I really dislike buying off ebay, but just occasionally something comes up that I cannot ignore. Five sets (no boxes) of Hat Zulu wars British Dragoons, British mounted inf, British lancers, Natal Native Horse and Frontier light horse all for £12.95 incl. p&p and one box and one unboxed set of Natal Native Contingent for £14.95 incl. p&p. This is the first time I've seen this set for sale anywhere since I started re-collecting-so I'm pretty pleased! Hopefully I can now go back to ignoring ebay! Looks great! 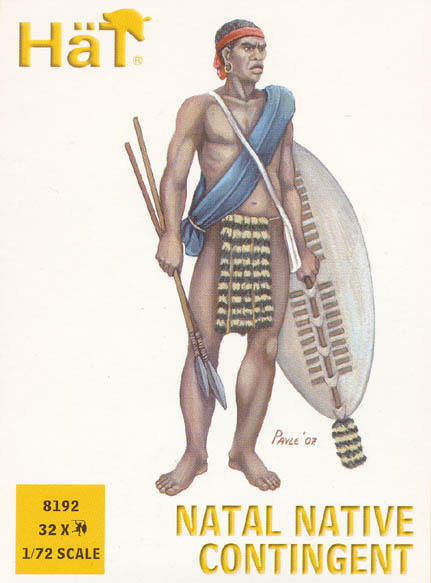 Toyed with the idea starting with the Zulu wars, but realized I have to much lying around that I want to finish. And some that I don't want to finish. Great days, if parcels like these arrive. I am also looki g for the PSC Sexton and their new Valentine. Great buy, but I don't think you'll find that many camels in the books. But I can be wrong! On a Brocante in Normandy (or Fleemarket) I was able to shoot these books (also with far no camels, Gunnar). 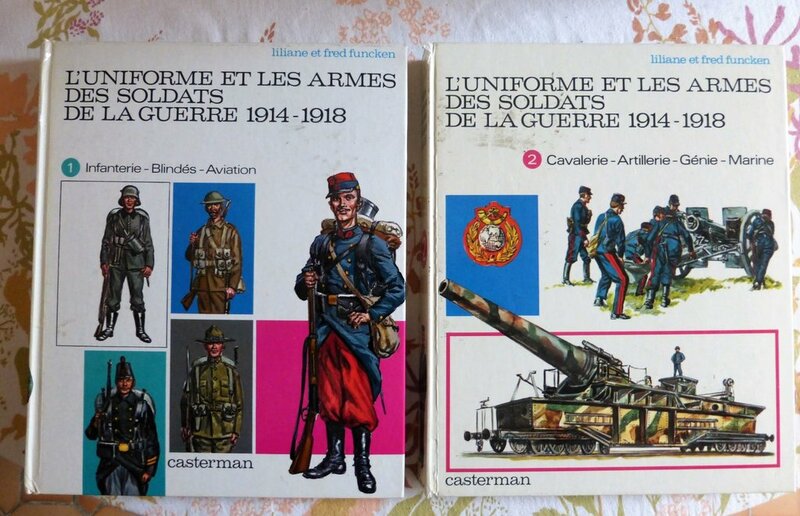 With the two books on the Great War, I have all books Fred and Liliane Funken have published on military costumes. 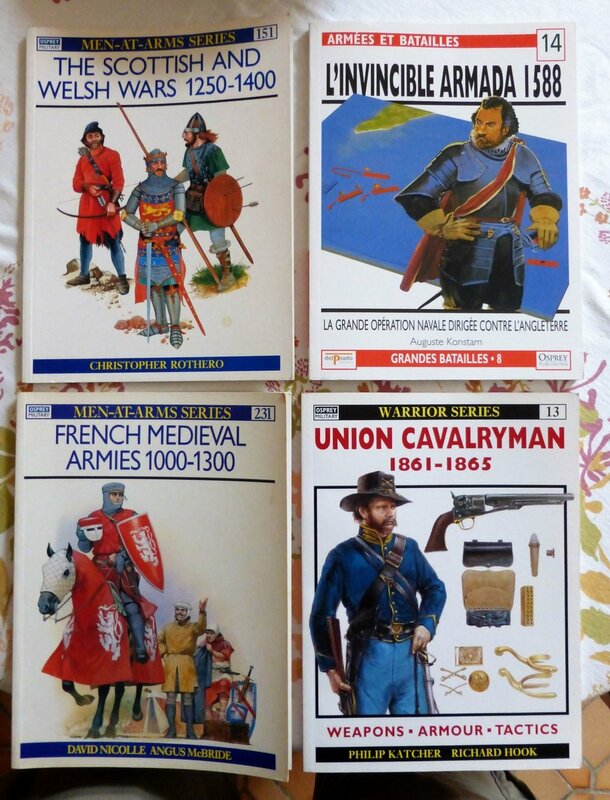 Keeping in mind what you have to pay for books like these or their work on the American Uniforms, I have payed nearly nothing. Also the Ospreys I have got for 10 €. On one flee market there is a dealer I know already, because we meet each year and he always has new Ospreys to offer. He could remember me as well and so it was really nice to talk a little. Unfortunately he has only figures in 54mm. I have just ordered his new stuff, which is great again. my wife 's been to Russia lately (no, not for football). As she always brings backs treats I was lucky this time. She brought some left of Zvesda stocks and Italeri Napoleon staff (one of my first sets actually). I have them all, but it is good to have them again. 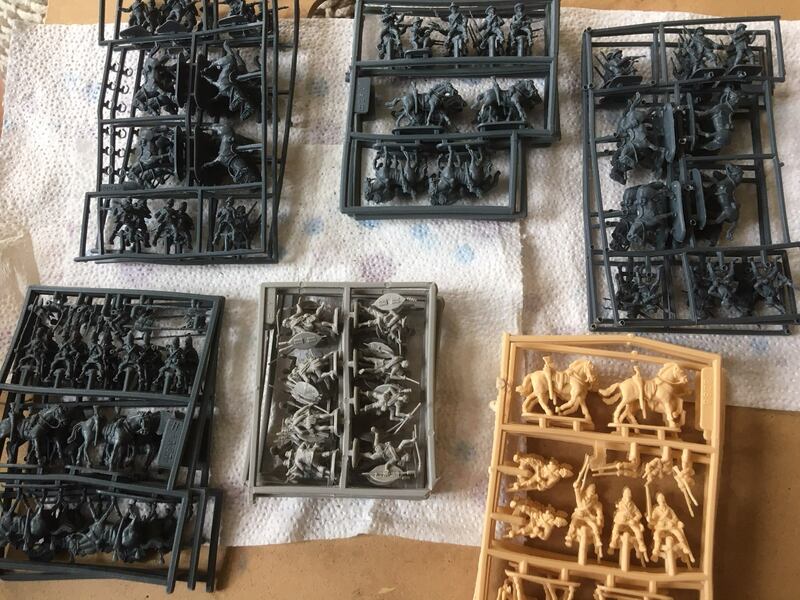 Al of them are great and in particular the medieval sets go well with recent Streletz sets. OK, another future project for which I have no time today. I need the nice clean washing team from Franznap. This summer was sooo hot. So many figures in my Dios wear since decades now there dirty and sweat clothes. Wiking wrote: I need the nice clean washing team from Franznap. Nice purchases Fire at Will-good eclectic mix and especially like the look of the books. Last week I received a whole bunch of these figures. These were my very first 1/72 scale figures! My father gave them when I was six year old because I had a very good result at school. I will always remember that. So when I saw these I couldn't resist to buy them. Older members will sure recognize these figures. They are from GIANT. I had them as well, Peter. A warm memory. Where did you find them for sale? The magic charm of ones oldest toys, still stay in the wishful thinking of us old boys. Copies, from copies and so on, and each detail getting a little worse each time. However youngsters were glad to have their mitts laid upon them. Even those who chewed upon them like my best friend Peter Brighton did. Ooooh, had one or two of them. Found somewhere. Neer saw them for sale here (I think). Great to see them!